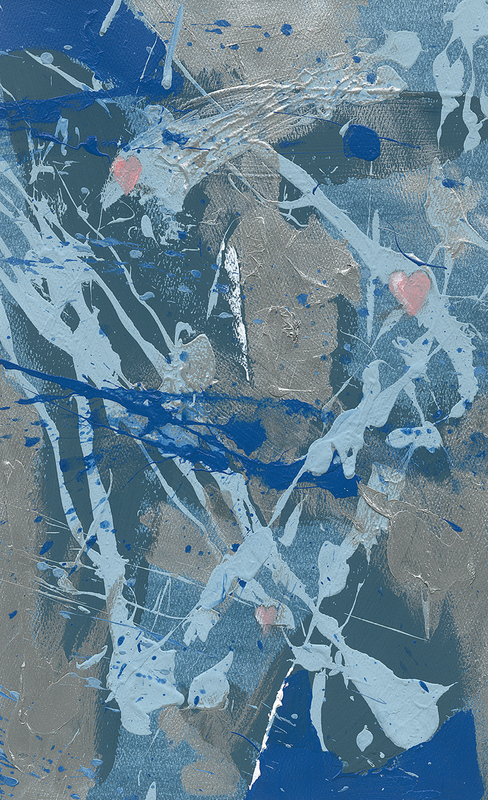 Various blues representing the stages of a lost love and as "blue spirit" in getting over the blues. No longer in a funk. The heart and soul are in the process of moving on with life.